As one of the biggest cities in the world, Mexico City can be difficult to navigate. Break it down into neighborhoods, though, and you'll find it's much easier to get around and figure out where things are. Here are some of the most interesting and intriguing areas of Mexico City to visit and explore. If you're new in town, a ride on the Turibus is a good way to get an overview of the city and where each of these neighborhoods is located. Until the 1900s, what is now the historical center of Mexico City was the city, and the rest was all outskirts. The Aztec heart of Mexico City still beats in the city's center: here you can see visit the ruins of the main Aztec temple, Templo Mayor, right beside the magnificent cathedral, wander the Zócalo and see murals by Diego Rivera inside the government palace. Walking through the streets you'll come across a wide variety of palaces and churches dating to the colonial period as well as more recent constructions, including the grandiose Palacio de Bellas Artes. A great way to get a look from above is by going to the top of the Torre Latinoamericana. Colonia Roma has a bohemian vibe that remains even as the area is gentrified. It's worth taking a stroll along Álvaro Obregón, the neighborhood's main street, to enjoy the Art Nouveau architecture. One of Colonia Roma's iconic buildings is the Centro Cultural Casa Lamm, which is housed in a mansion from the early 20th century. The building now houses a cultural center, bookstore, and restaurant. This area is rougher around the edges than nearby Condesa, but still has upscale establishments like Contramar, one of the city's best seafood restaurants, and Máximo Bistrot, which styles itself as a low-key French bistro but serves top-notch dishes prepared with locally obtained ingredients. One of Mexico City's trendier areas, this zone was part of an estate that belonged to María Magdalena Dávalos de Bracamontes y Orozco, the Countess of Miravalle. Following the Mexican Revolution, the land was divided up and homes for the wealthy were built, with the countess remaining only in the name. 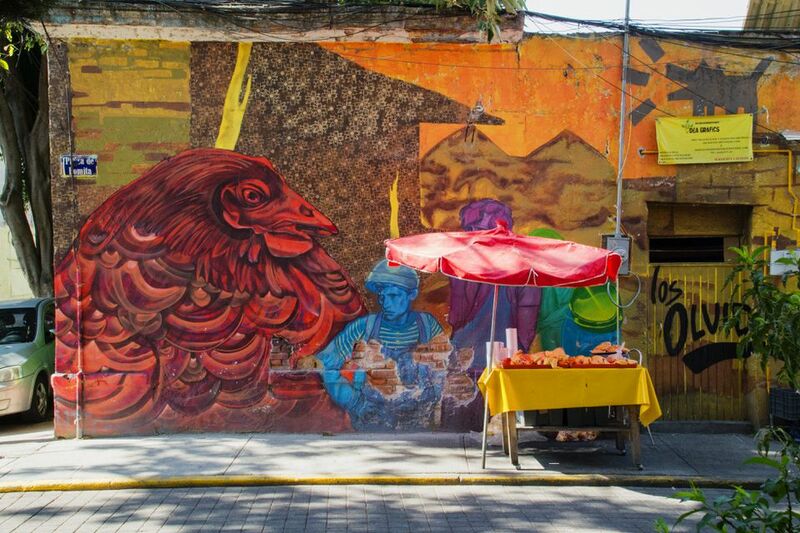 La Condesa has lovely Art Deco homes, leafy parks as well as hip shops, bars, and restaurants. Parque Mexico is one of the defining landmarks of the area: it is the former site of a horse race track of the Mexican Jockey Club and has many elements of a European garden, including ponds and walkways. The park hosts various cultural events and neighborhood gatherings. Mexico City's swankiest neighborhood, Polanco, is famous for its designer shops and upscale restaurants—many of which are situated on the fancy Avenida Masaryk, named after a Czech president. This is one of Mexico City's most diverse neighborhoods, with large Jewish and Lebanese communities. Visitors interested in gourmet cuisine will come to Polanco to dine at Pujol and Biko, and those wishing to stay in an upscale hotel may choose the W Mexico City or the Intercontinental Presidente in this area. Locals converge at the large city park on weekends, but any time of the week it is nice for strolling and visiting the numerous attractions in this area of the city. Chapultepec Park is divided into three sections in which you'll find restaurants, gardens, amusement parks, a zoo, an artificial lake with pedal boats for rent, and several museums, most notably the National Anthropology Museum. The grand Paseo de la Reforma leads from the castle in the park up to the historical center, with a variety of sculptures and monuments interspersed along the way. An ultra-modern development on Mexico City's western edge, Santa Fe is marked by its skyscrapers and contemporary constructions; one of the largest and swankiest shopping malls, Plaza Santa Fe; and a large convention center, Expo Santa Fe. This historical area was inhabited in ancient times and its name means place of the Coyotes in Nahuatl, the language of the Aztecs. The two central plazas, the Jardín Centenario and Plaza Hidalgo, are filled with strolling families and surrounded by quaint cafes, bookstores, and cantinas. This is the neighborhood where Frida Kahlo lived and you can visit her home, La Casa Azul, now a museum, as well as the house where Leon Trotsky lived out his final days, which is nearby. A neighborhood of elegant colonial houses that used to be a village unto itself has become a vibrant center of artists and artisans. Visit on Saturdays, when the Bazar del Sábado transforms its central square, the Plaza San Jacinto, into a labyrinth of stalls selling paintings, sculptures, knickknacks, and handicrafts. Stop by the Museo Casa del Risco (free admission on Saturdays) to see the tile fountain and Mexican baroque and medieval European paintings and then have a leisurely lunch at San Ángel Inn. Don't miss a stop at the Diego Rivera and Frida Kahlo House Studio Museum. The canals of Xochimilco were the site of an Aztec-era agricultural innovation: The chinampas allowed them to plant their crops in this swampy area. Now tourists can ride flat-bottomed boats called trajineras and enjoy mariachi music and traditional food while floating along in this peaceful area located to the south of Mexico City. Also in this area is the Dolores Olmedo museum, which houses a large collection of modern art including many pieces by Frida Kahlo and Diego Rivera.